Hi! 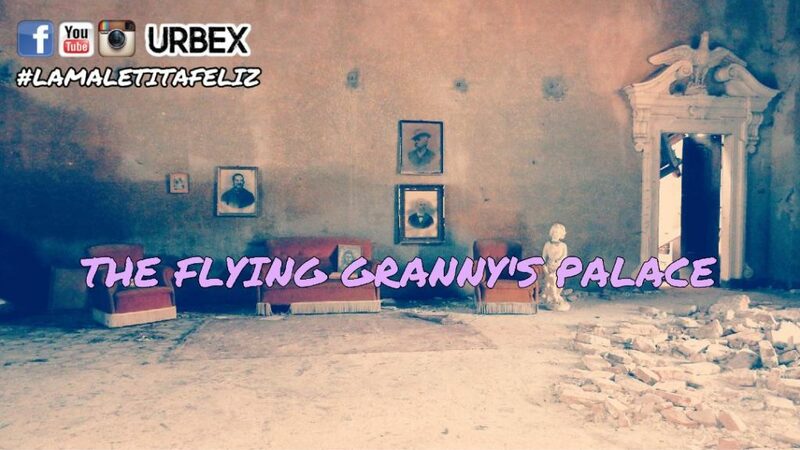 In this exploration I take you to the Flying Granny’s Palace, a very famous abandoned place in the urbex Italian world, but almost no one has ever talked about its last inhabitant, a lady who died at the ripe old age of 108 years. 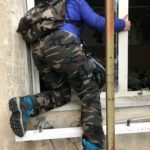 The lady was affectionately called the Flying Granny because she was used to take a plane to reach this beloved home, in which she spent long periods, so as to be known by the whole little city. The Flying Granny was Sicilian lady who loved to spend most of her time in this palace, once belonged to the Gonzaga family. In occasion of her 100th birthday, she organized a big party in the park of this building, offering pastries and sparkling wine to over one hundred people. She was used to wear heels, adored her white blouses and when she went to her trusted hairdresser, always asked for cigarettes, a glass of water or a coffee. I can say that she really enjoyed her life! When she died, her corpse was transported from Catania to celebrate the funeral in her beloved country of adoption. She has been buried with her husband and her children. This palace was born as a fortress-house between the 14th and 15th centuries, it belonged to Matilde di Canossa who donated it to the monks. Later it passed into the hands of the Gonzaga family and the last member, as childless, left it to his nephew Pirro Maria. Here there is a tower, inside which there is a small chapel founded by Fulvio Gonzaga, dedicated to the Madonna. The church is located to the right of the main part of the house and it is necessary to climb a small table. Currently the building is for sale and the grandchildren of the Flying Grannt inherited its historical part, closed and inaccessible, but to regive life and splendor to this national monument, since is in advanced degradation, would be necessary a miracle and many millions of Euros. The entrance is very simple and hidden, you only have to go through a hedge, but pay close attention inside the building because in many places it is very dangerous.